Worldwide, Valentine’s Day is celebrated as a day of love. Whether it’s love for your parents, children, friends, or partners, Valentine’s Day is all about showing those you love how much they mean to you. The feeling that comes with knowing someone cares about you is unlike any other. 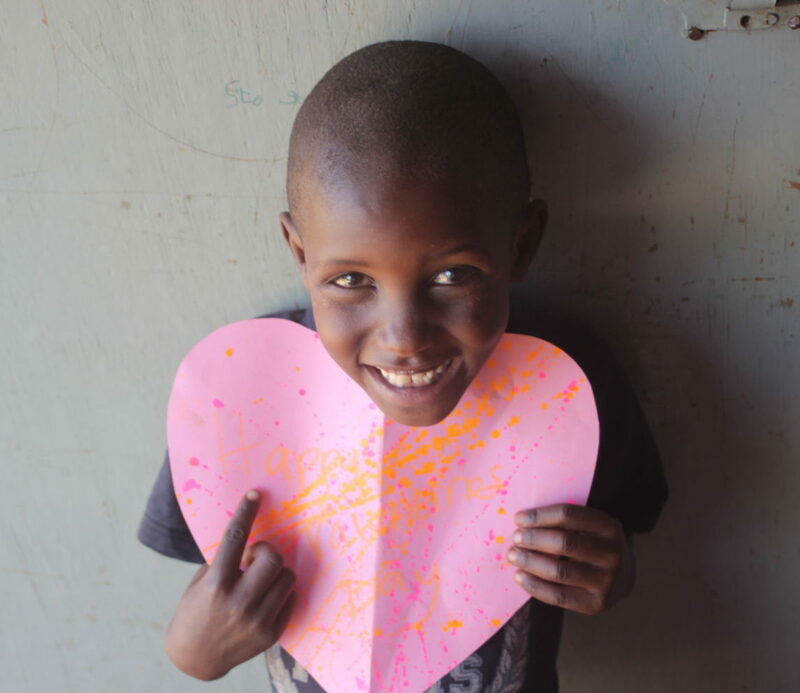 Thanks to your support, our students know what true love feels like, and they love to express their own love for their sponsors with letters and cards. We recently caught up with Grace, a form 4 graduate looking forward to her first term of university, to hear how the love of her sponsor changed her life. “I really love my sponsor, Paula. She gave me hope when I was hopeless. She not only loved me, but also taught me how to love. She has given me a reason to smile, and a lot of joy and confidence. Thanks to her support, I have now been able to finish my high school studies, and I’m looking forward to moving on to university in the next few months. My sponsor has helped me take the next step in realizing my goal of becoming an engineer, and I couldn’t be happier. Love knows no boundaries. It transcends differences in age, beliefs, and locations. Just a little love can make the world a much better place to live. Knowing that my sponsor loves me gives me peace. With her support, I work hard in my studies to achieve my goals and make her proud. On this special day of love, on behalf of all Moja Tu students, I would like to wish all our sponsors a Happy Valentine’s Day. You should know that the students love you very much. The sacrifices you make to give us the gift of education has really impacted our lives positively. We are all determined to pass on the love you have shown us to others in our community.